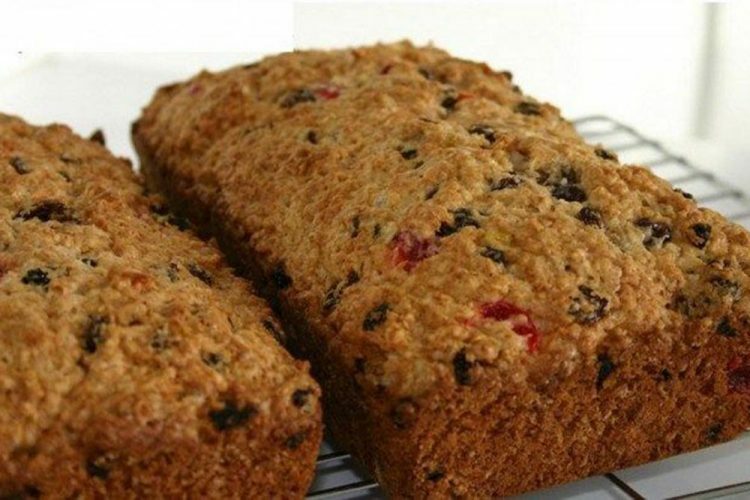 Somehow when I think of coconut sweet bread, it brings back memories of my grandmother. Every Saturday afternoon, after the cleaning was done, it was baking time, and this was just one of the many things she made. Sift flour and baking powder. Mix margarine and condensed milk until smooth. Blend together the rest of the ingredients, adding milk gradually. Pour into greased pans and bake at 350 for 30 â 40 minutes. Glaze with sugar syrup (3 tbsp sugar, 2 tbsp warm water) and enjoy. Tip: Adjust the cinnamon and nutmeg to your taste; just remember that too much nutmeg will give a bitter taste.